By the final exclamation, Thomas had the undivided attention of his audience, 16 Fort Washakie School 4th graders. Had he told them exactly what it was he believed they could do, they might not have been so receptive. Thomas is one of many community leaders on the Wind River Indian Reservation engaged in untangling the jumbled knot of challenges that produce striking health disparities for Wyoming’s Native community. Experts agree that improved childhood health is the key to population-wide success, but a tight focus on young people does little to simplify the problem. 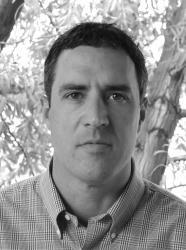 A professional working to reduce childhood trauma, for example, quickly finds his issue firmly tethered to those of substance abuse, history, and economics. Economic policy experts can’t go very far before running into education and institutional ineffectiveness as limiting factors. Educators, meanwhile, are held back by the challenges of poverty and, bringing it full circle, poor childhood health. Anemic political power, cross-cultural miscommunication, racism, corruption, distrust and dozens of other elements are also woven through. It seems that no single strand of the broader health crisis can be teased-out and set straight without first unraveling all of the others, each of which, in-turn, is dependent on prior improvement elsewhere. As a result, approaches to solving the quandary differ dramatically. Many prospective solutions don’t even resemble public health initiatives so much as social experiments. There are, however, common threads among the most encouraging endeavors. Each seeks to fundamentally reorder the status quo. Young people figure prominently, across the board, as targets and vectors. All incorporate a shift to traditional, or otherwise culturally relevant perspectives. None of them will be easy. And funding, of course, is a hurdle for all of them. Thomas’s approach focuses on leadership development. He didn’t tell them they’d be counted on to lead their community beyond generations of inequity. That comes later in his program. Thomas developed an abiding respect for the transformative power of youth as a long-range surveillance sergeant in the 82nd Airborne Division of the U.S. Army. 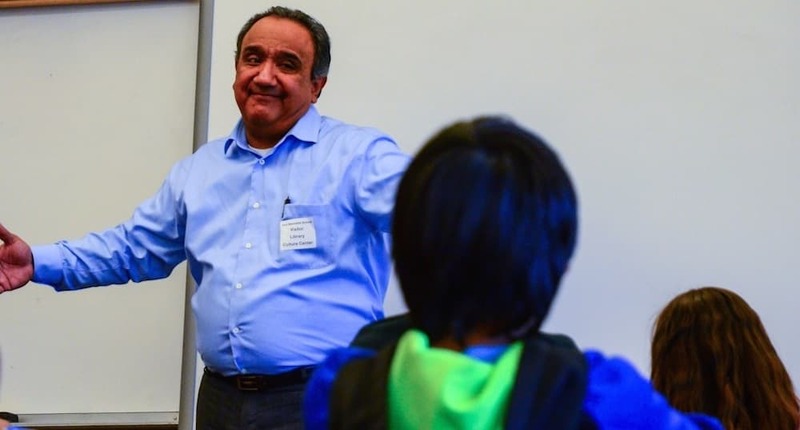 Years later, interacting with at-risk kids as a Bureau of Indian Affairs cop, Director of Eastern Shoshone Tribal Health and eventually the Director of Eastern Shoshone Family and Juvenile Services, he saw more than he wanted of that power’s darker potential. The innate penchant for risk, sacrifice and action that made his young soldiers so effective, quickly became a dangerous liability, he realized, when, in the absence of a positive application, it found outlets in drugs, alcohol and fast trucks. ESCAPE — Eastern Shoshone Cross Age Peer Education — is Thomas’ and the late Eastern Shoshone Tribal Liaison Eddie Wadda’s answer to that paradox. Despite the program’s name, it works with reservation kids from all different tribal affiliations and ethnicities. In fact, Thomas isn’t himself Shoshone. He comes from the Salt River Au-Authm people of Arizona. Since its inception in 2012, ESCAPE has engaged more than 80 young people, between the ages of 11 and 18, in its three-pronged approach to delinquency prevention. First, with help from the schools and other community organizations, ESCAPE identifies and recruits kids with outstanding potential. 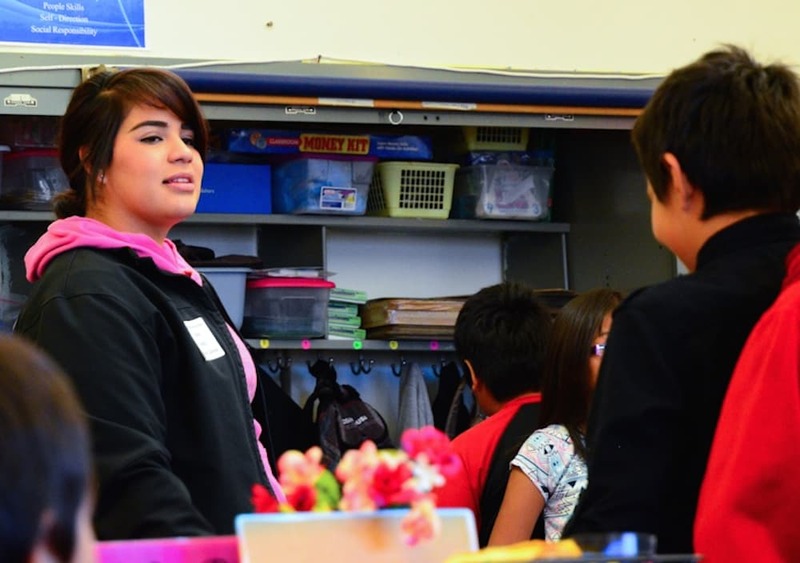 In late October, for example, the visit that Thomas and staffer Belva Day made to Fort Washakie Elementary school was nominally a teaching engagement about safe trick-or-treating, the dangers of drugs and alcohol, and techniques for recognizing and resisting peer pressure. But they were also planting seeds for the next class of program participants. Once engaged, each participant sets his or her own pace through a rigorous 242-hour curriculum. Instruction covers the fundamentals of communication, conflict resolution, creative problem solving, peer pressure, ethics, mentoring and various approaches to leadership. They take confidence courses with the Teton Science School in Jackson and a 14-day wilderness leadership training expedition in the Wind River Range with the National Outdoor Leadership School. It takes years for most to master the material well enough to pass the final exam. They are expected to remain drug-, alcohol- and tobacco-free for the duration. Occupying adolescents with useful endeavors, instead of unhealthy behaviors, isn’t a novel approach, but it can be effective at evading predictable pitfalls. To appreciate ESCAPE’s capacity as a change agent, though, not just as a preventative, one must consider the cultural context in which it is applied. Traditional Arapaho philosophy divides the course of a human life into four stages, or hills. The first hill of life, occupied by infants and children, is a place to listen and learn. On the second hill, adolescents and young adults are expected to apply their newfound strength and energy, as directed by their elders, in service to the tribe. The third hill, adulthood, comes with the responsibility to give back, to see to the needs of one’s people, and to lead. The fourth hill of life is that of the elders, whose role it is pass the knowledge and wisdom of previous generations into the future. The famed and feared Plains Indian Dog Soldiers were drawn from the second hill. So too are ESCAPE mentors. The Dog Soldiers are remembered for, among other feats, their rear guard bravery. In the face of overwhelming force, they would plant their lances in the ground, tether themselves to them, and refuse to yield until the tribe found safety. Today, of course, raiding war parties and cavalry charges are long gone. ESCAPE calls on its graduates instead to defend their community from contemporary threats, then connects them with opportunities to do so, both professionally and as volunteers. ESCAPE mentors give motivational presentations to school kids. They teach about healthy living, personal responsibility, and avoiding the low-achievement traps that pepper life on the reservation. Mentors work one-on-one with troubled youths and their families. They visit students who aren’t showing up at school to see what’s going on. They work for tribal enterprises and addiction-recovery programs. They serve where they can, and they lead by example. The next problem they need to solve is nothing new — funding. The Department of Justice grant that helped launch ESCAPE expired in October. Until more money is found the program’s future is uncertain. Were ESCAPE to paint a picture of its ideal outcome, it would look a lot like Dr. Vonda Wells. And not just because she’s intimately familiar with the program’s hurdles. 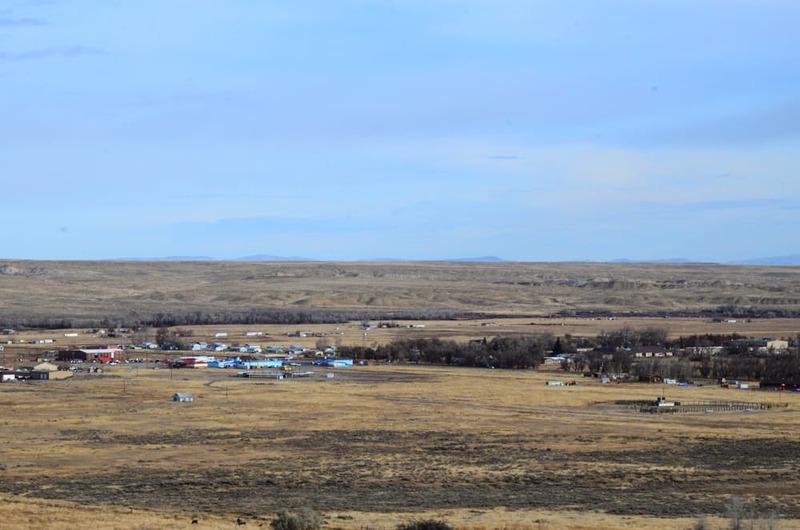 She was referring to the intertwined challenges that plague the health of Wyoming’s tribal communities, but she could just as easily have been describing many of the programs created to overcome them, including, at times, her own. 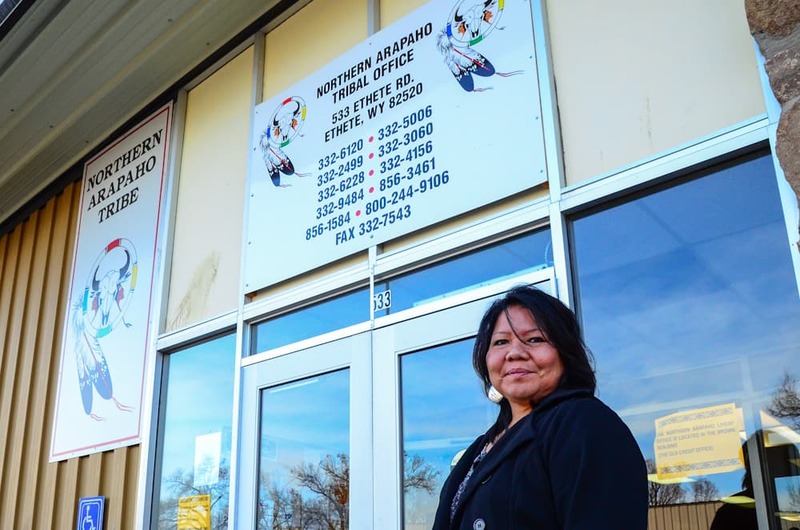 As the Director of Northern Arapaho WIC, the federal nutrition program for women, infants and children, it was Wells’ job to see that the most critical and most vulnerable segment of her community had enough to eat. With a PhD in curriculum and instruction, a prestigious stint in D.C. as a Head Start Fellow, and a string of programmatic successes decorating her resume, she could claim nearly any plum post in the country if she wanted to. Instead, Wells chose in 2012 to assume responsibility for a program in crisis back home. She saw in the then-foundering WIC office an opportunity for meaningful service. Part of the draw for Wells was a chance to move efforts beyond the proverbial “give a woman a fish” model by giving women the knowledge, skills and community connections needed to care for their families. Until October she oversaw a team of three home-visitors that traveled to new and expecting mothers on the reservation. Starting during pregnancy, they evaluated each young family’s needs relative to a number of benchmarks; for example, maternal and child health, school preparedness, family economic self-sufficiency, and home safety. Based on the results of those and ongoing evaluations, home-visit staffers then coached their clients toward greater success and, when appropriate, connected them with other useful programs and services. The home visiting program grant expired in September. Not one to dwell on setbacks — which may explain her selection as the chairwoman of the National Native American WIC Coalition — Wells used the remaining home-visiting grant funds to acquire 70 baby boxes. The sturdy crates, which come filled with early childhood staples like diapers, onesies, blankets and nursing supplies, will be distributed to young mothers who would otherwise have been clients. Once emptied the boxes function as a safe crib, the use of which has proven effective at reducing infant mortality rates in Finland, where they are ubiquitous. Wells then repurposed the time, energy and womanpower that had gone into home visits to launch a new breastfeeding education and promotion initiative. Breastfeeding addresses some of the same risk factors targeted by home visits, by forging more resilient bonds between mother and child, boosting immune system and cognitive development in infants, and reducing cervical and breast cancer risks in moms. Though incomplete, it’s a homegrown, sustainable solution, rooted in tradition, that can be implemented and maintained with the resources at hand. It’s one step forward in a battle where progress has proven hard to come by. That dream is about to get much larger. 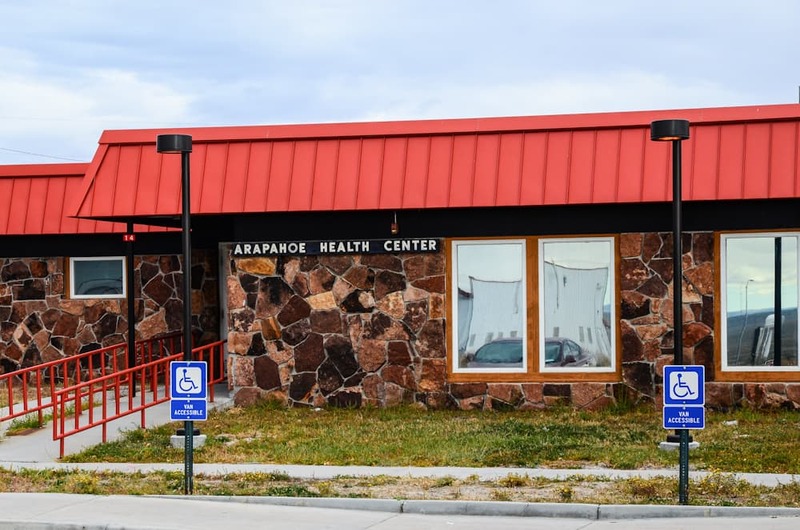 Faced with what they see as a broken healthcare system writ large, the Northern Arapaho Business Council announced in June its intention to exercise the tribe’s right to self determination, and to take matters into its own hands. 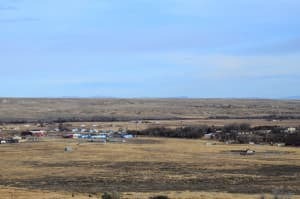 The tribe decided to forego Indian Health Service’s management, opting instead to receive those federal funds that would have been given to IHS on their behalf, and assume direct responsibility for healthcare services management for their people. In theory, 638 contracting, as the process is known, will remove the hurdles to innovation that come with federal bureaucracy. Tribal health experts and leaders believe the move will allow them to create a comprehensive, integrated health system that attracts greater investment, delivers more resources directly to a community in need, and enables culturally relevant new approaches to wellness. There is already talk of increasing support through the creation of a new facility. Roughly 40 percent of the national IHS budget is already contracted to 85 different tribes in this manner. The model has been successful in Alaska and in affluent tribal communities elsewhere. Improvements are in no way assured, however, and the plan comes with risk. Northern Arapaho contracting of smaller, less complex programs met with mixed success in the past. White Buffalo Recovery Center nearly lost its funding due to noncompliance, before a management overhaul. Northern Arapaho WIC suffered similar growing pains initially under tribal financial management. 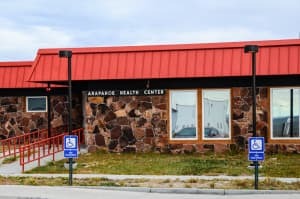 A healthcare system run for and by the Northern Arapaho would lose the economies of scale enjoyed by the massive IHS system, as well as its back-end infrastructure and recruiting reach. Some fear that doctors, nurses and administrators who work for IHS will choose transfer over Tribal management, leading to a brain-drain that the community can ill-afford. 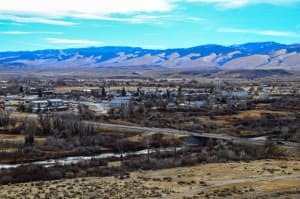 Perhaps most troubling to observers, however, are the plan’s implications for the Eastern Shoshone, and the reservation’s other Native Americans. 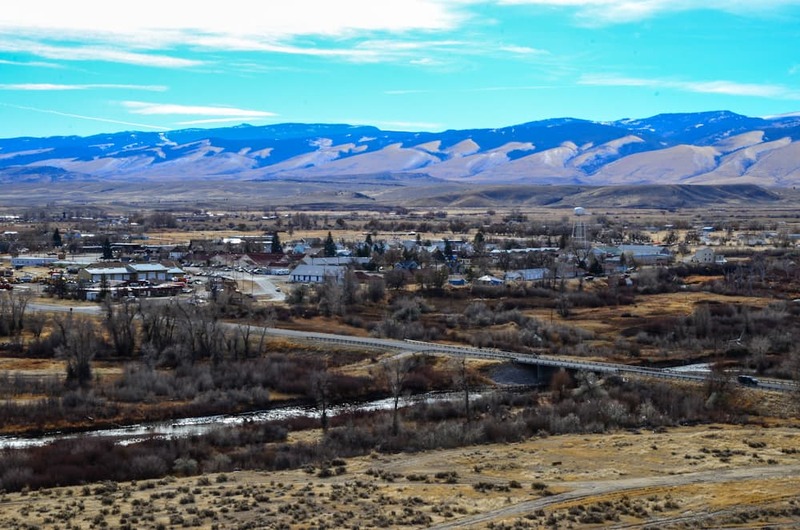 The Wind River Indian Reservation is the only reservation in the United States shared by two sovereign tribes. Members of 33 other tribes also call Wyoming home and currently the Wind River Service Unit serves them all. 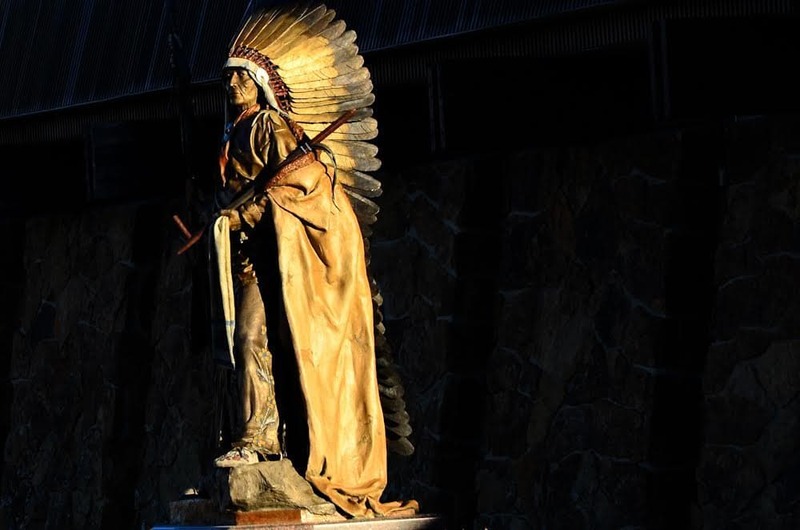 When the Northern Arapaho break ties with the IHS, they may, as the tribe with larger enrollment, take the majority of the operating budget with them. Negotiations are ongoing, but the unit has already transferred one pediatrician out of Wyoming as a result. The long-term impacts of the shift are, as yet, unknown. Such worries are easy to come by on the Wind River Indian Reservation. You wouldn’t know it, though, from the hopeful faces of the 4th graders at Fort Washakie School as they ushered Thomas and Day out of their class with a sing-song “Thank-you!” in unison. 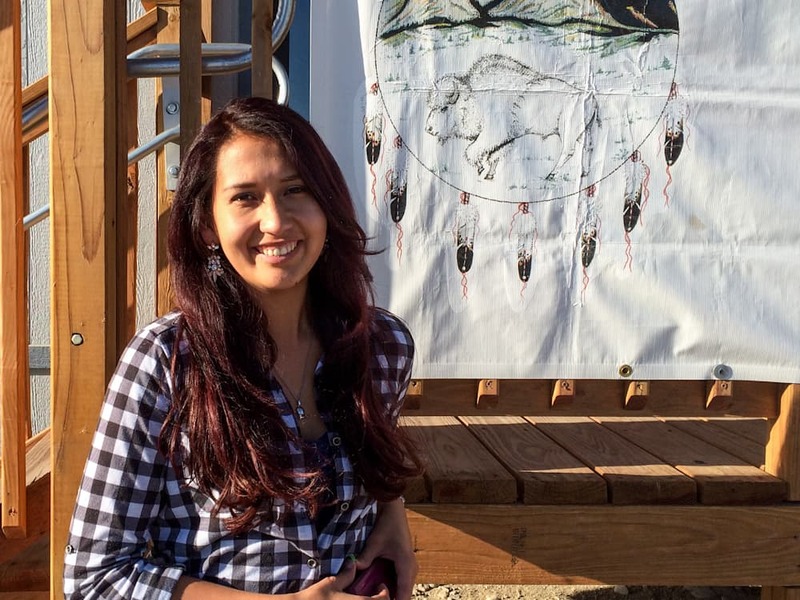 “Generation of Hope” is a special project of WyoFile, focusing on childhood health on the Wind River Indian Reservation. It is made possible by generous readers who donated to WyoFile’s crowdfunding effort in March, via the Beacon crowdfunding platform. Please share these stories with your friends, and tell us about your experiences regarding childhood health and well-being on the Wind River Indian Reservation. If you enjoyed this story, please consider making a tax-deductible donation to WyoFile. We could not have done this series without the support of our readers. — Ed. More outstanding journalism from Mr. Copeland; thank you.